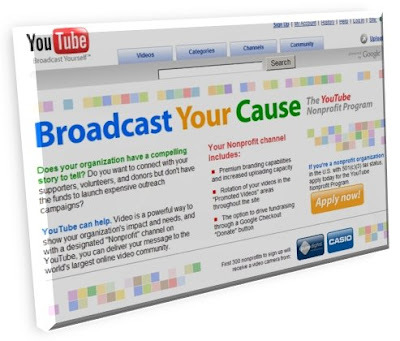 Take advantage of YouTube’s wonderful opportunity for your charity. Video’s online will continue to increase in popularity. Furthermore, nearly every user generated Web site is allowing space for nonprofits to promote their cause.